theme in our family room has blue walls w/lighthouse border at ceiling, lighthouse clock, wall hangings of ships, lighthouses, terns, pelicans, etc. Memorabilia we obtained on cruises we sailed on. I hung the curtains over a double sliding glass door and it looks spectacular. I am very pleased with my purchase. I bought a room divider on Craig's List and needed to replace the backing. This desert curtain provides a decorative alternative to a shower curtain or plain material. I was glad I found it and could see beyond the normal application for a creative solution. I use the curtains for my sliding glass doors that separate my kitchen nook and the patio. Use the beach sceen for summer and the harvest for the fall. They are beautiful pictures and now if I don't like the view from the slider I just shut the curtains and I am whisked away to a beach view. I Love my Thomas Kinkade curtains ! The curtains look awesome over my sliding glass doors at night for privacy . I saw these at my neighbors' house and just had to have a set like them. They give the room scenery. Can't wait to put them up!! I cooked up some cornstarch and water to make starch. I soaked the whole curtain in pot wrung it out slightly and pasted it to my wall around my window to make an accent wall. I have vinyl covered paneling. It looks great! It comes off very easily without any damage to my wall. I use it seasonally taking it down in the fall. Wish I could upload a picture. I have the grape vineyard. This was and is a great touch to my living room. It would be a fantastic touch too any room. It looks and feels good. Puts up in just seconds. And washes nice. I haven't found anything to complain about this product. I have ordered these curtains in all styles that Walter drake has to offer… I ordered the beach scene last year and loved them so much… I recently ordered the Christmas scene and it is absolutely amazing… The quality is outstanding… The picture does them no justice…they are a "must see to believe"
I bought the English Garden panels several years ago for the family room windows which allow anyone who comes to the front door to look right in and through the entire width of the house including the kitchen area since there is a window on the oposite side. This curtain is the perfect solution since it lets plenty light through and yet camoflages enough not to be an open window. I just ordered the desert view panel since I live in AZ. I then can alternate "views". These went on his double closets. They look GREAT. The only problem was I have to hem them. Great colors and the design is super for his room. Thank you. 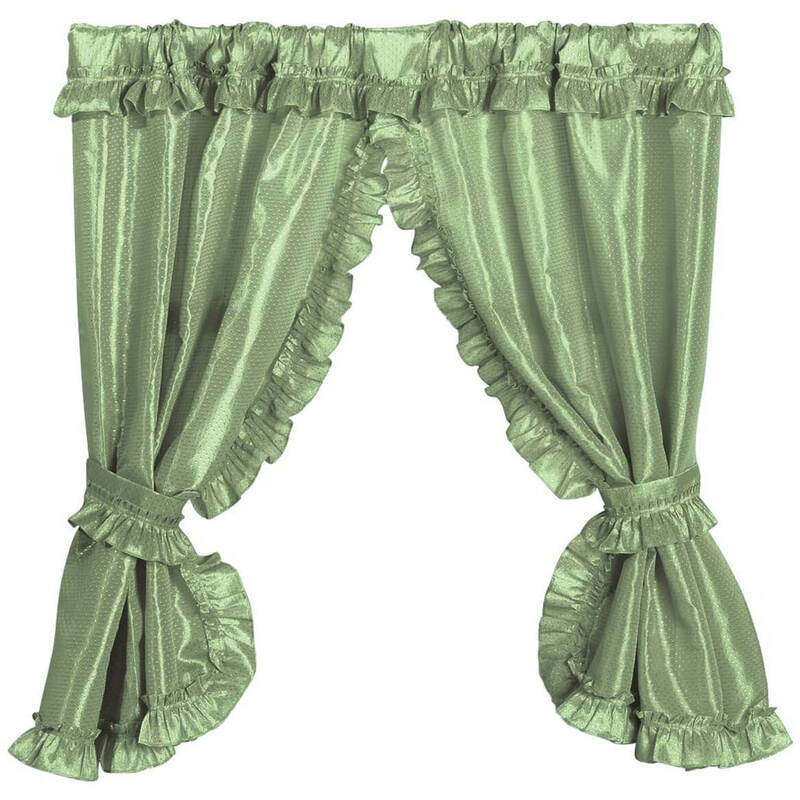 I am using this curtain set in front of my sliding glass doors. It is a bit narrow,but I hung two burgundy drapes on either side and it works out well. Looks really nice with the afternoon sun coming through! I have two pairs and just bought Island breeze, but I had my heart set on the zen garden (oh well another purchase) I've washed each pair twice now without fading and no rips or tears. These are well made and instantly beautifies the dining room. I have a screened in porch and hung one pair outside, and they have held up well. Now my goal is to have at least a pair of window scenery for each season.A definite good buy!! The length was a little long, but it hung very well on my shower door. I bought the somewhat matching curtain and it looks like a set. Very happy with the material...heavier than I expected. Looks like you are on an island...great affect.. I put these curtains up in my livingroom and just love them. I have had so many comments on them. All my friends thought they were great. I choose this design "Woodland" because of woods in back yard. Got 3 pair to also cover unsightly wall! Looks very nice. My Mom has a Western exposed short window in her living room that caused the room to get very warm in the afternoon. I lined these drapes with a lightweight rayon-blend lining (washable). They hang beautifully, block out the heat very effectively AND when you walk into her apartment they truly look like she has a beautiful patio with french doors. They make her apartment appear more spacious and allow enough light it that it's not dark and dreary. She LOVES it. My mother had open heart surgery. Since I cannot take her to the mountains, I brought the mountains to her. Many Thanks!! space. Add's dimension and feels relaxing. its beautiful, I have had alot of people commenting how much they liked it and wanted one. Christmas. Everyone that sees the window from the hall, thinks we have a beautiful garden, etc. At first we received the wrong item. I called and spoke to a customer service rep. She was VERY kind, friendly,knowledgeable and able to help me. I was shocked and pleased that I did not have to return the wrong item. She ordered the right item and it was received . I wish window art curtains had not been discontinued. They are wonderful! We use the curtain in the master bedroom to hide an ugly view to the backyard. We love the design. We wish the curtains were lined. I would like to have french doors, but there are restrictions on the kind of doors in my condo complex. With these curtains I can get the feel of the french doors that I want. It's wonderful to see the sun shine through the forest when it's really an empty brown field thru the window. You can pretend you are surrounded by beautiful nature with these window coverings. I have had to move to the city from the country. I love the scenes on the curtains as I can look at them instead of the building across the street. i seamed the pair together to add to the wall, it would be great if a single - double panel were an option. used the curtain for a closet door. didn't know how it would look. looks good no need to return it or chalk it up as a chance that did not pan out. if had a choice i would have left the deers out of the scene. too bad you do not offer other mountian views. other than the Kinkade? These curtains look really nice on the patio doors that look out into the garden. Even in the evening it seems like the garden is still visible, extends the room visual, making it look bigger and connected to the outside. Great summer look. my husband picked this curtain out and everyone loves it! the design is very visable even from the road, it just looks cool! I purchased the Desert Garden design, and I really love it. 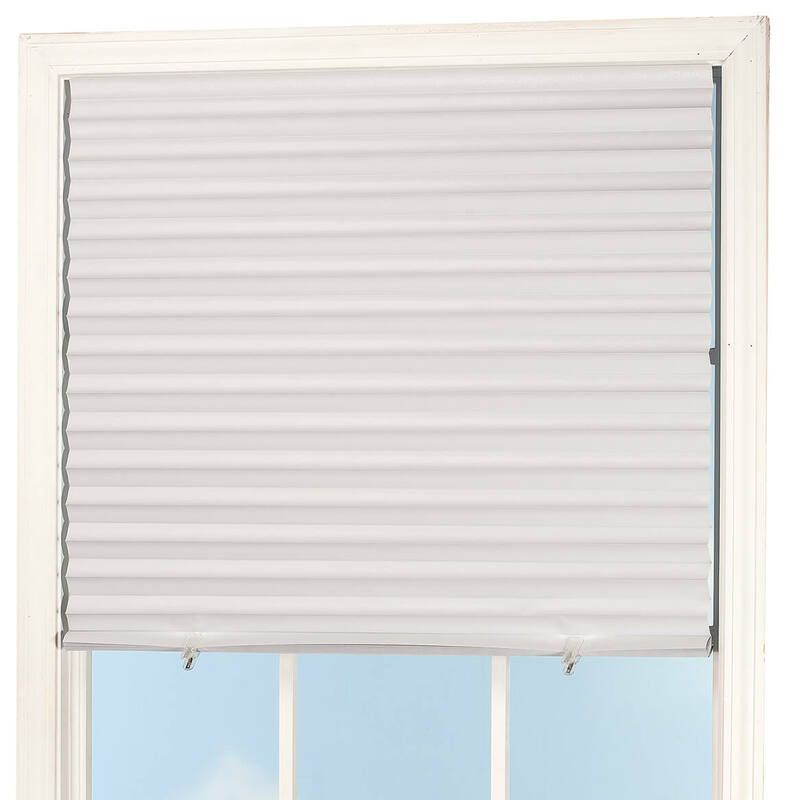 Recommend using a dowel rod rather than a curtain rod, for easier installation, but either will work. Adds color and interest to a plain space/wall. Would purchase again. Recommend the item. The design idea is great, but the actual product leaves a lot to be desired. Colors are muted and the whole design looks rather cheezy. We have updated our bathroom recently and want these curtains to accentuate our new look. no, I had a voucher for 20% off this item plug free shipping and I did not get my 20% of my price of $39.99. Thanks for lying. Won't shop here again. Jeanne Reed. The pic is woodland but i ordered the english garden. Looking to use this as an entryway to our bathroom. For my dining room window. Adding on to my collection Island Breeze. It is so serene during morning and evening sunlight shining on window art curtains. Love them. These look like they would be a great addition to my beach themed living room. It looks very awesome and I have a small den area in our bedroom that I use as an office, but it has no doors for privacy and the curtains look so realistic it would look so pretty in our bedroom and I can close it off when I'm not using it. I am decorating my bedroom to feel like an Island vacation. I like my view out of my patiowindow to look like nature . Your product looked most like what I envisioned and the price was right . For a peaceful, tranquil window affect. Great quality! I other another pair of "art curtains". A lovely conversation decor. Needed something to cover my bedroom door opening. I want to replace same curtains that I have. It will solve my basement window issue. I have two others and love them. Wanted to change off for the seasons. They are beautiful and love the reviews on them! A very freshing view from indoors, particularly in bedroom. Looking to change things up a bit. Really wanted the Zen Garden though. I chose this for home improvement. is the 84 inches long the only size that these come in? BEST ANSWER: Thank you for your question. The curtains come in one size and it is 36"x84" and that is the only size that we carry. We hope this information will be of help to you. i have no idea what lengths these come in. It should tell when you go to demenitions. Mine are 84" long which is what I wanted. I've gotten many compliments on these. Think so, just like a shower curtain. If you need bigger things like this, we say some at Ikea. I did not look for any other length, you can put Walter Drake in your search bar and ask them. What does back side look like? Same picture only reversed? BEST ANSWER: Thank you for your question. The design is only on one side of the curtain and you can see through the design. We hope this information will be of help to you. are these curtains see though? The curtains shown are they woodland? BEST ANSWER: Thank you for your question. The main picture on the page is the woodlands style. We hope this information will be of help to you. yes , but can not think of name exactly something like, serenity woodland stream. Do you have the kinkade curtains? BEST ANSWER: Thank you for your question. 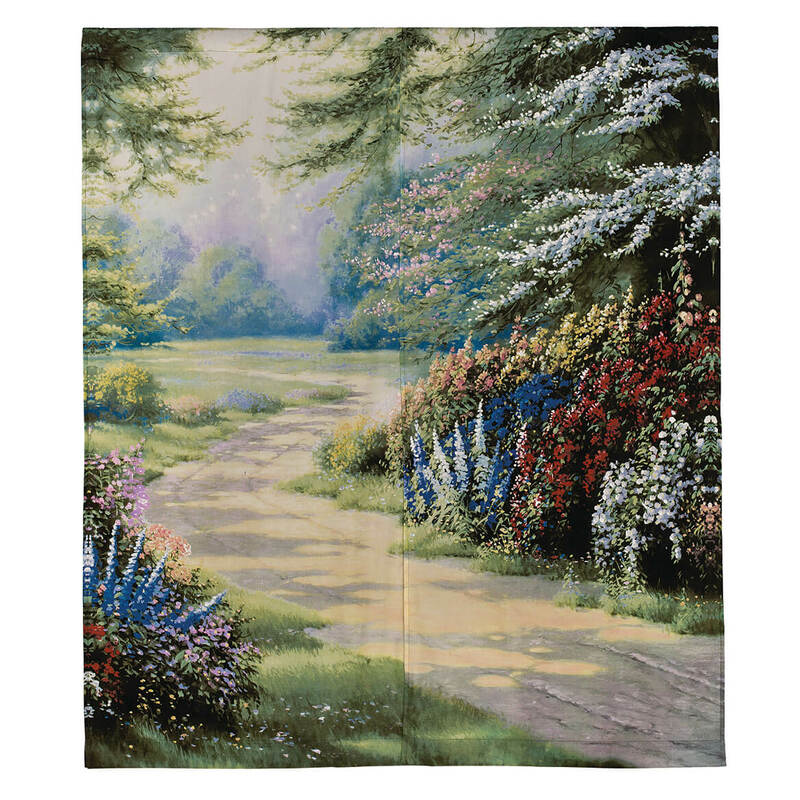 We have sold Thomas Kinkade curtains in the past but at this time we are not. We hope this information will be of help to you. When will "lighthouse" curtains be in? BEST ANSWER: Thank you for your question. This item is retired and will no longer be available. We hope this information will be of help to you. BEST ANSWER: Thank you for your question. There is the Add to wish list underlined, next to add to cart button.We hope this information will be of help to you. I only want the 5 sets of windows art Curtains if they are the woodland with the mountains and streams and deer? I bought the same ones. I love them. I have a woods theme in my bedroom. They go perfect! is each panel 36 inches? BEST ANSWER: Thank you for your question. Each panel is 36"x84". We hope this information will be of help to you. Are you going to get more window art curtains in different pictures? BEST ANSWER: Thank you for your question. At this time we only have the one style. We hope this information will be of help to you. Would like to know when Desert Garden is available again? BEST ANSWER: Thank you for your question Unfortunately the Desert Garden has sold out. We no longer have inventory and are not expecting further shipments from the supplier. We hope this information will be of help to you. When will the Tropics Scenic Curtains be available? BEST ANSWER: Thank you for your question. The Tropics has been discontinued. We hope this information will be of help to you. how do i view other curtain choices ? BEST ANSWER: Thank you for your question. The pictures of the other designs are provide below the bigger picture. Click on one and it will make it bigger. We hope this information will be of help to you. Bathroom window curtains decorate your bathroom with beautiful color. One piece for easy installation, the 70 W x 45 H bathroom window curtains feature a pretty swag ruffle accent. Window curtain set is 100% polyester. Spot clean. Imported.